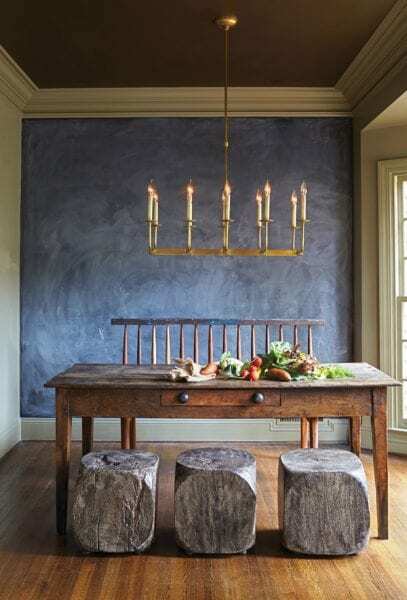 If you love the rustic decor style but aren’t sure about incorporating it into your current home, your dining room is a great place to start. 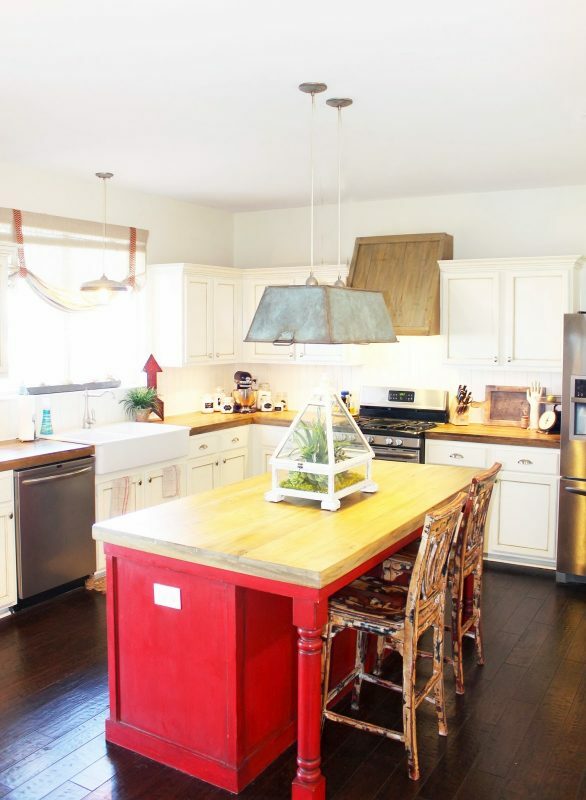 You can combine elements of rustic charm with contemporary styling for a cohesive look that’s on trend. 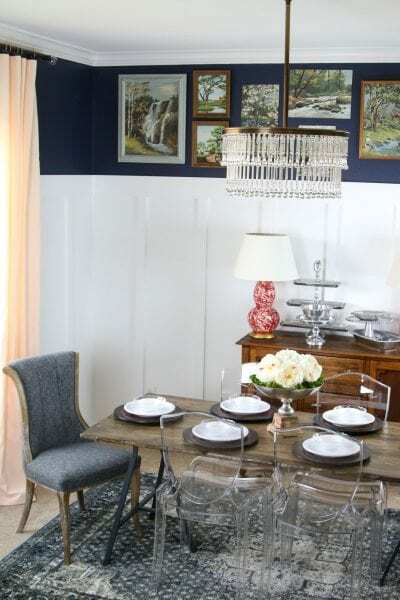 It’s easy to pull a few rustic items into your dining room and mix and match with contemporary pieces, and we’re going to show you how! Veronika’s Blushing // A rustic pipe table with a mix of contemporary and natural bamboo chairs. 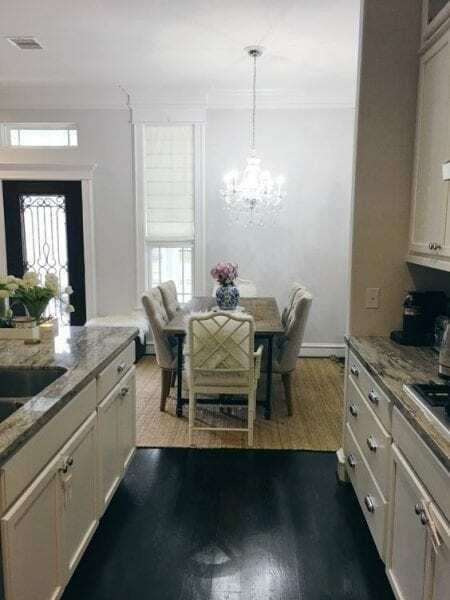 Birmingham Home and Garden // Full Chalkboard Wall accented by crown molding and an updated vintage chandelier. Squared wood stumps as stools on one side of the rustic table with a high backed bench on the other. The Effortless Chic // Reclaimed wood plank wall with rustic gallery-style collage on the adjacent wall. Rustic pipe and wood table with mix and match metal chairs. 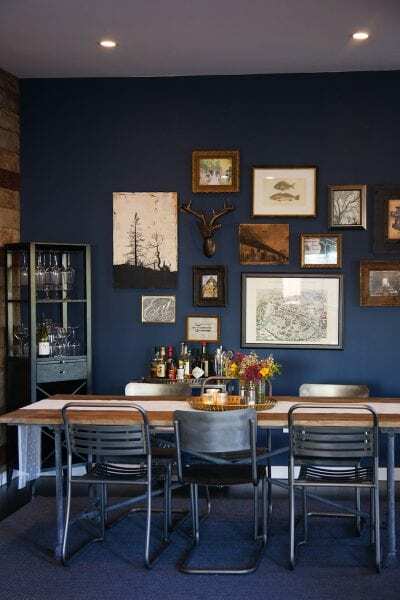 Fox Hollow Cottage // Rustic buffet wall with faux wood beam entry. Pair it with bright white for a classic, effortless style. 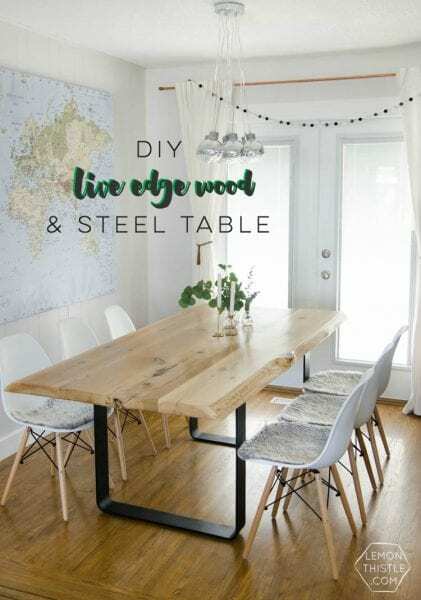 Windgate Lane for Remodelaholic // A live edge table is a gorgeous addition to rustic contemporary decor. Here it’s paired with acrylic chairs to really complete the contemporary look. lemon thistle // Here’s another live edge option. This tutorial shares the how to for sealing cracks and holes to protect from crumbs. The simple steel base is attractive and contemporary. 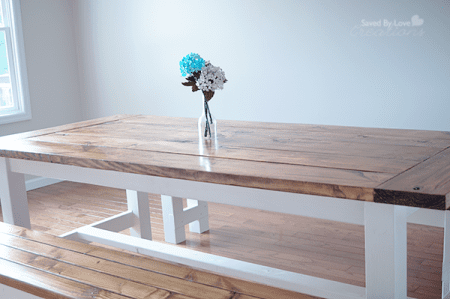 Our Vintage Home Love // Make a planked tabletop to update any table base you already have. 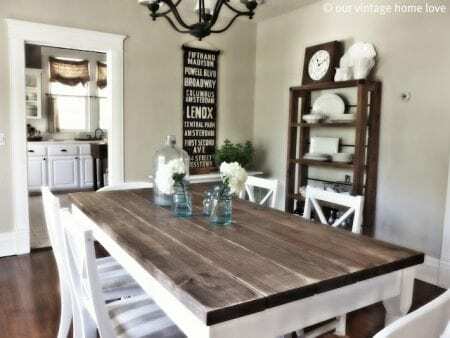 Saved By Love Creations // Here’s a farmhouse table and benches made using free plans from Ana White. 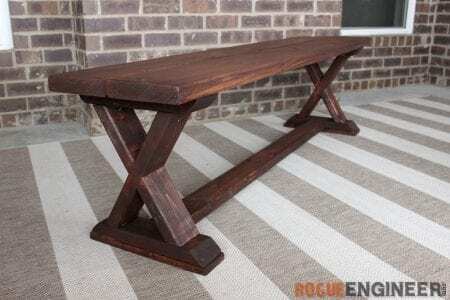 Rogue Engineer // This X-brace bench would be perfect at a farmhouse table or for extra seating. 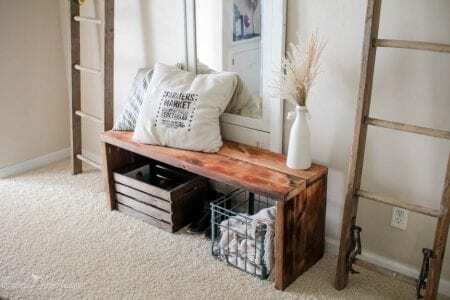 Over the Big Moon // A boxy entryway bench is the perfect mix of rustic and contemporary. 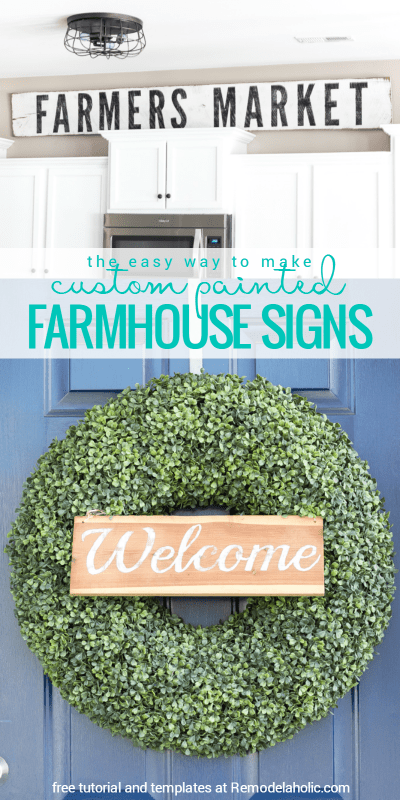 Picture this next to your wood plank table!